Dr. Kubota: As a child growing up in Japan in the 1960s and 70s, I always wanted to become a teacher, perhaps because some of my family members were teachers. In high school, I was fortunate to have an outstanding English teacher, Mr. Tokio Watanabe, who is now a professor of teacher education in Japan. He provided us with quality instruction in the classroom, encouraged us to read a lot in English, and taught us with such enthusiasm and a sense of humor. His teaching was inspirational.I eventually became an EFL teacher in Japan. My first job was to teach English at a public junior high school in a rural area. I had always wanted to study abroad to develop my language and teaching skills. But at that time, opportunities for study abroad were much more limited than now, and teachers were not allowed to take a leave of absence for professional development.Eventually, my passion for professional and personal development outweighed job security and a traditional life path. I quit my teaching job and obtained an MAT degree in TESL from the School for International Training in Vermont, USA in the mid 1980s. Another dream of mine was to teach in an immersion setting. I got a teaching position at a private international school in Tokyo, where English was used as a medium of instruction for both Japanese and international students. But my teaching experience turned out to be quite frustrating because of classroom management issues and my sense of incompetency in teaching native English-speaking teenagers. One day, I got a job offer to teach Japanese as a foreign language to undergraduate and graduate students at Monterey Institute for International Studies in the US. Actually, I had been interested in teaching Japanese for quite a while––I had taken some non-credit teacher preparation courses. By this time, I felt quite unconfident as an ESL/EFL teacher and also frustrated by the lack of opportunities to implement communicative language teaching. I thought, “If I taught Japanese, I wouldn’t have to feel linguistically incompetent, plus I could use a communicative approach.” This was a big career turning point. From 1988 to 2008, I taught Japanese as a foreign language in California, Toronto, and North Carolina. My teaching experience at Monterey Institute for International Studies was fulfilling and I wanted to obtain a doctoral degree in order to get a permanent position as a Japanese language instructor in higher education. I completed my doctoral degree in 1992 at the Ontario Institute for Studies in Education of the University of Toronto. As far as my experience in teacher education goes, I was hired in 1995 by the University of North Carolina at Chapel Hill to develop a teacher education program for K-12 Japanese. There I prepared teachers of K-12 foreign languages in general. Around 1998, a need for K-12 ESL teacher education became apparent, and I was asked to reinstate a teacher preparation program. My experience of teaching in Japan as well as graduate training in bilingual education facilitated this experience. I currently prepare teachers and researchers of ESL/EFL at the University of British Columbia in Canada. Ana Wu: So you have taught as both a native and nonnative teacher. How has your experience influenced the ways you understand native/nonnative issues? Dr. Kubota: My experience has given me realistic expectations. I have observed many native and nonnative teachers of Japanese as well as other languages including ESL. There is an implicit assumption that native teachers are superior. But this is an absolute myth. Some native teachers I observed lacked pedagogical skills and their students’ learning outcomes were quite limited. But other native teachers had excellent teaching skills. The same has been true for nonnative teachers. Some nonnative teachers provide poor instruction with limited linguistic and pedagogical skills, while others are outstanding. Effective nonnative teachers are proficient but not necessarily “native-like” in the target language. They engage learners in meaningful communication, hold high expectations, and create great rapport with them. This means that the label of “native speaker” does not index absolute power. In addition, the perceived superiority depends on the context where complex relations of power exist. For example, imagine a school system in the US that values core subject areas over foreign languages and exhibits subtle racism and linguicism against nonnative non-white teachers. Who is likely to be hired as a teacher of Japanese: a nonnnative white teacher who has a teaching license in not only Japanese but also social studies or a young native speaker of Japanese from Japan who is a nonnative speaker of English (see Kubota, in press)? On a practical level, we need to encourage nonnative teachers to develop their linguistic and pedagogical skills. At the same time, we must address larger social issues, including different forms of racism, which perpetuates the racial, cultural, and linguistic hierarchy of power and prevents students from having valuable opportunities to learn about diverse views and human experiences. In this sense, nonnative teachers need to play an activist role. We should think about who really suffers from unfair hiring practices. Of course, nonnative teachers suffer from discrimination, but those who really suffer are the students. If students work only with white native teachers, they can only receive a partial worldview. Any teacher can talk about experiences and views of the Other, but lived experiences of the Other told by those who have actually gone through them carry a different nuance and symbolic meaning. Students can greatly benefit from nonnative speaking teachers of English in understanding where they are positioned in complex relations of power and explore how they want to engage in this positioning. Through teaching and learning English, racial and linguistic hierarchies can be either maintained or transformed. In other words, ideologies of the superiority of English, native speakers, whiteness, and Anglo culture can be either reinforced or challenged. ESL/EFL teachers, regardless of native/nonnative status, need to be cognizant of the role that they play in the ideology construction and reconstruction. a. Why is it necessary to discuss and include the topic of Race when teaching ESL/EFL? How is this topic specifically important in our NNEST community? Dr. Kubota: I realized the need to address issues of race when I received a criticism of my article (Kubota, 2001), in which I argued that the binary cultural image of Self (e.g., American students) and Other (e.g., Asian students) stems from discourses of colonialism and that racism is a legacy of colonialism. To this argument, I was criticized as labeling ESL teachers and applied linguists as racists. As I argued in my rebuttal (Kubota, 2002), there are different levels of racism. The term racism usually evokes individual bigotry. But racism exists in the forms of institutional and epistemological racism. The hiring practice that I alluded to earlier is an example of institutional racism. The fact that “speaking English” evokes the image of conversing with white native speakers of English is an example of epistemological racism, which has to do with how our knowledge is structured by racial biases. It is important to name racism in various educational practices within our field rather than pretending that it does not exist because ESL/EFL teachers cannot be racists. As our field is making a social turn, issues of race and ethnicity need to be examined more explicitly, keeping in mind that they always intersect with other social categories such as gender, class, language, and sexual identity. b. On the topic of race and nativeness, what do you think needs further research and investigation? Dr. Kubota: As I just mentioned, race intersects with other social categories which include language. Nonnative speakers are often viewed as people of color. But as our NNEST IS membership demonstrates, there are many white nonnative professionals. Likewise, there are many native English-speaking teachers of color. In North America, racial dynamics especially position Asian teachers as perpetual foreigners. There is a chronic underrepresentation of black professionals of ESL/EFL. We should further investigate racial identities of teachers, their instructional and institutional experiences, the students’ engagement with them, and wider political issues that affect all these topics. We should also bring research to public engagement. We should make efforts to communicate the knowledge generated by research to the general public and policy makers so that more equitable policies are developed, supported, and implemented. c. If you were to name a (or a few) seminal paper on the topic of race and nativeness, what would that be? Dr. Kubota: The special topic issue of TESOL Quarterly you mentioned contains articles on race and TESOL in various geographical and instructional contexts. The book edited by Andy Curtis and Mary Romney (2006) is an excellent collection of personal essays by TESOLers of color. Our new book (Kubota & Lin, 2009) contains empirical and theoretical chapters relevant to the broader field of second language education. Please refer to the list of references at the end. 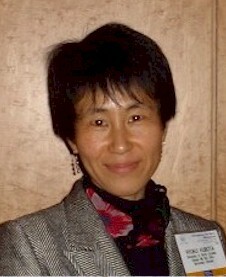 Ana Wu: Your publications have appeared in many journals such as, Canadian Modern Language Review, Critical Inquiry in Language Studies, English Journal, Foreign Language Annals, Journal of Second Language Writing, TESOL Quarterly, TESOL Journal, World Englishes, and Written Communication. As an NNES, what advice would you give to graduate students who are struggling with their academic writing skills? As a writer, what strategies have you employed to overcome writer’s block and how do you deal with the frustration of working on multiple revisions? As an editor, what advice would you give NNES writers whose papers are rejected? Dr. Kubota: Academic writing is always challenging for anyone, especially for beginning authors. As you get experienced, it becomes a bit easier. But for me, producing satisfactory writing still takes a huge amount of time and effort. Academic writing includes various components, such as content, organization, argumentation, and mechanics. Of course, the idea that you present is the most important. As I mentioned earlier, nonnative professionals have their unique experiences and perspectives that are not shared by mainstream scholars. Nonnative scholars can capitalize on such uniqueness and bring in innovation and new directions to the field. No matter how great your idea may be, a paper with a writing style too distant from conventions would not win reviewers’ approval. Appropriating the conventions to express your idea is necessary. One way of doing that is to find a good model––an article that is clear, convincing, and interesting––and closely pay attention to how the author organizes the article, builds his/her study on previous research, supports his/her arguments, and so forth. There is an assumption that nonnative writers struggle more than native writers. But that’s a myth. Just like the nonnative teachers are as effective as or more effective than some of the native teachers, nonnative speakers can be outstanding writers in L2 as demonstrated by many of the leaders in our field. So my suggestion is to be confident and keep improving your writing. Having to do multiple revisions is normal in academic publication. So don’t feel discouraged or frustrated. It’s important to be persistent and keep trying until your piece is accepted. If your paper was rejected, read the reviewers’ comments carefully. If they are reasonable and worth taking into consideration, revise your paper accordingly and send it to another journal. But before doing so, read the overall focus and submission guidelines of the journal as well as a few articles published in that journal. Make sure your paper is a good fit with the journal. Ana Wu: You have been a loyal and active member of the NNEST IS since its creation. This year, you were elected one of the NNEST IS Member-at-Large. You have seen our community grow and flourish, and also, struggle through challenging times that affected our membership. What makes you stay? Why is the NNEST IS important to you? What would you like to see its leaders and members do or initiate? Dr. Kubota:NNEST IS has grown so much in such a short time, which is truly incredible. The amount of research on nonnative professionals has increased tremendously, as seen in the huge bibliography on our website (http://nnest.asu.edu/NewBibliography1.html). It’s quite exciting. While our presence has increasingly been recognized both scholarly and professionally, a bias against nonnative speaking teachers persists. It won’t go away overnight. We need to keep addressing these problems. At the same time, it’s necessary to develop our field further by constantly exploring new areas for scholarly investigation and professional advocacy. Dr. Kubota: Thank you for providing me with this opportunity to share my views and experiences. Curtis, A., & Romney, M. (Eds.) (2006). Color, race, and English language teaching: Shades of meaning. Lawrence Erlbaum Associates. Kubota, R. (in press). Rethinking the Superiority of the Native Speaker: Toward a Relational Understanding of Power. In Neriko, M. Dorr (Ed. ), “Native speakers” revisited: Multilingualism, standardization, and diversity in language education (pp. 233-247). Mouton de Gruyter. Kubota, R., & Lin, A. (Eds.) (2009). Race, culture, and identity in second language education: Exploring critically engaged practice. New York: Routledge. Kubota, R. (2002). The author responds: (Un)Raveling racism in a nice field like TESOL. TESOL Quarterly 36, (1), 84-92. Kubota, R. (2001). Discursive construction of the images of U.S. classrooms. TESOL Quarterly 35 (1), 9-38. This entry was posted in Uncategorized on December 2, 2009 by AWu.